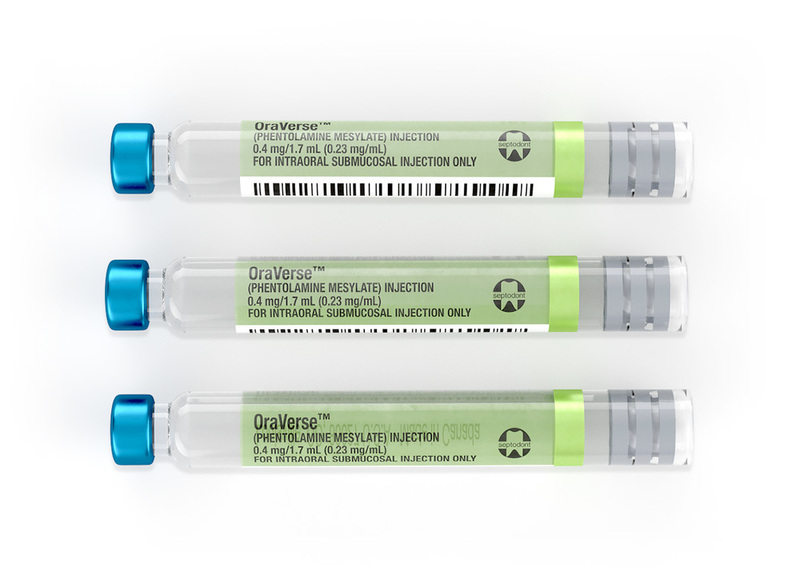 OraVerse is the first and only product to rapidly reverse the lingering numbness of the lip and tongue from local dental anesthetic that contains a vasoconstrictor. In clinical trials, the median time to recovery of normal sensation in the upper lip was 50 minutes for OraVerse patients vs. 133 minutes for the control group and in the lower lip was 70 minutes for OraVerse patients vs. 155 minutes for the control. In clinical trials, OraVerse patients were more quickly able to smile, speak, drink normally and minimize drooling.